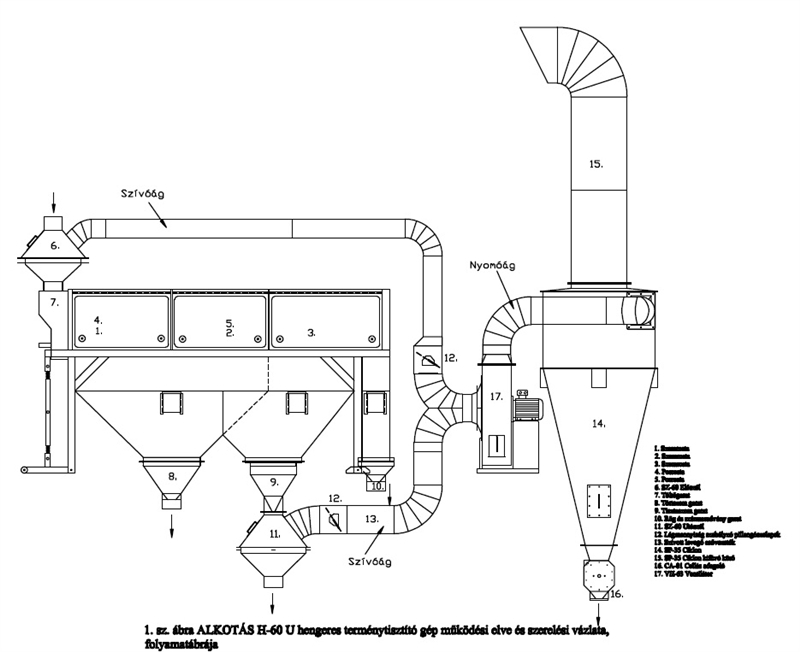 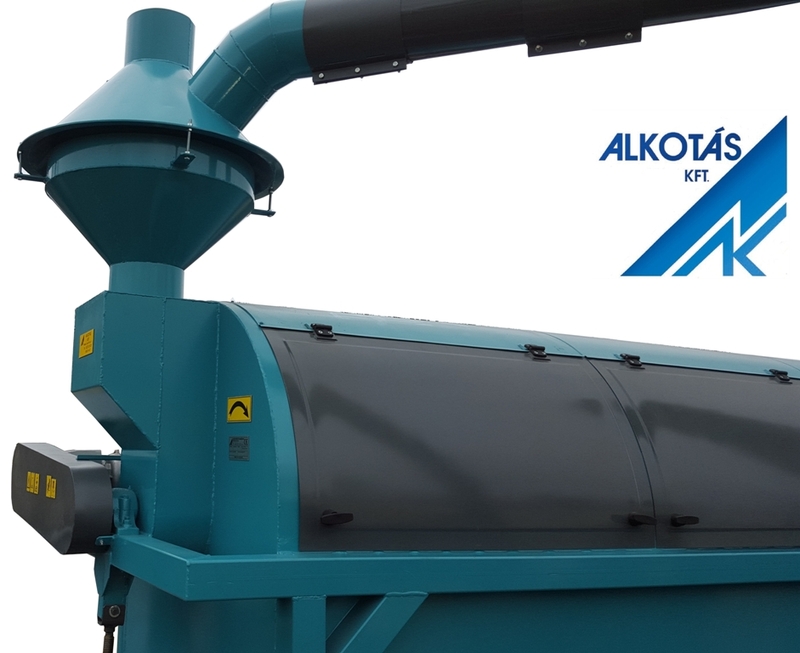 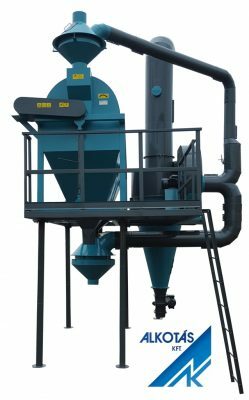 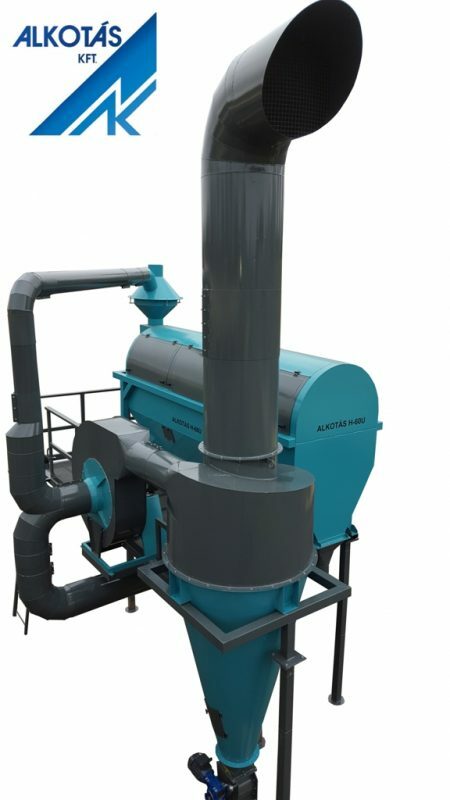 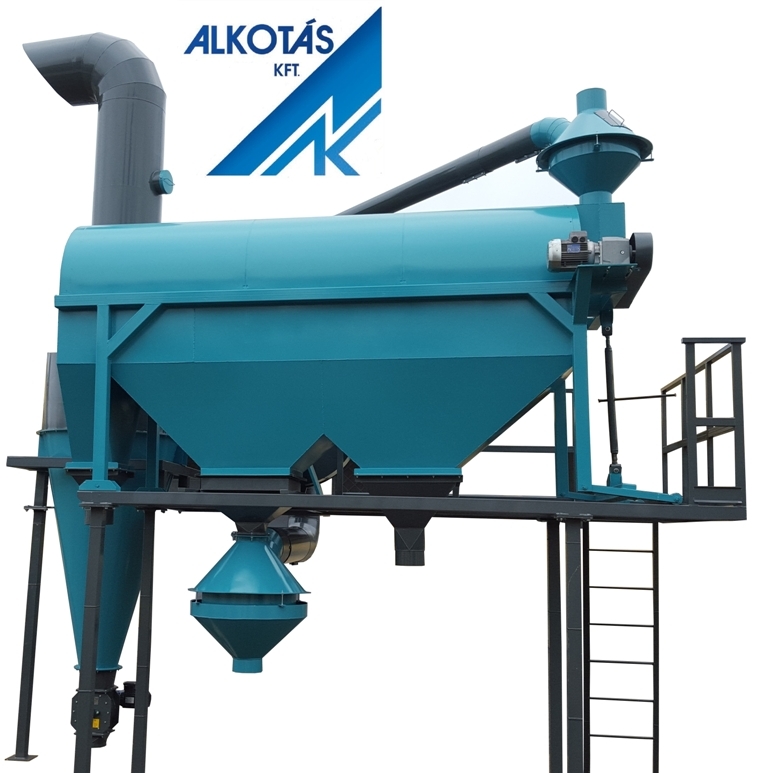 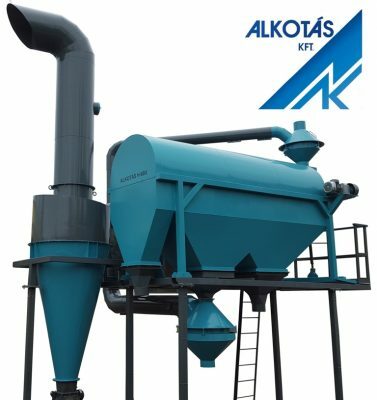 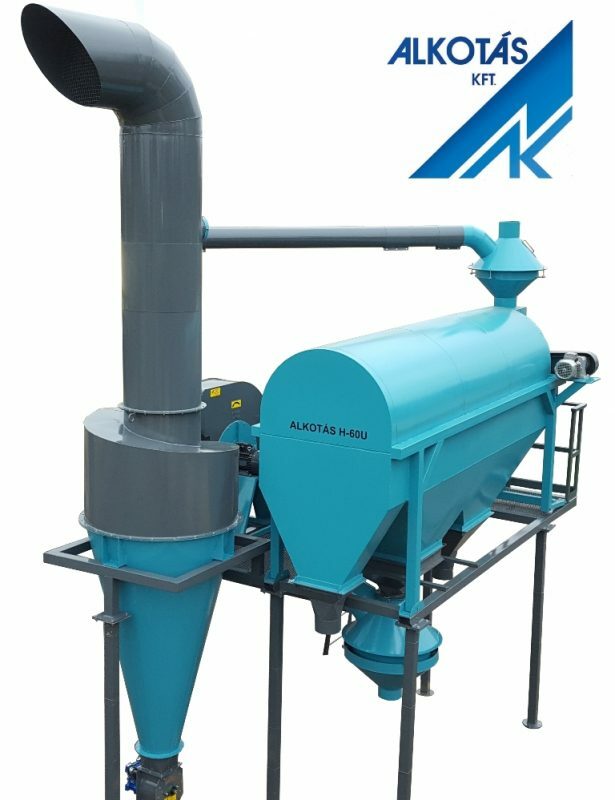 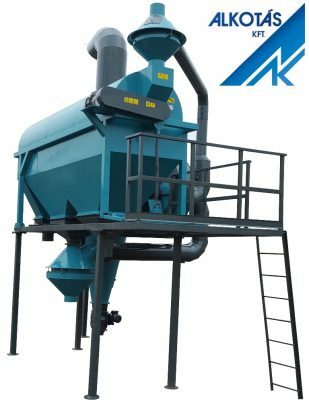 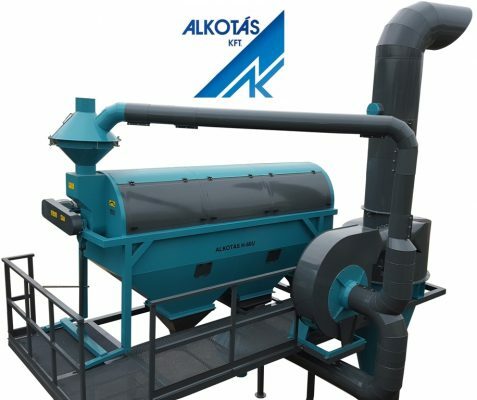 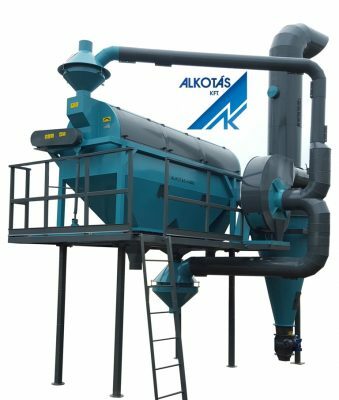 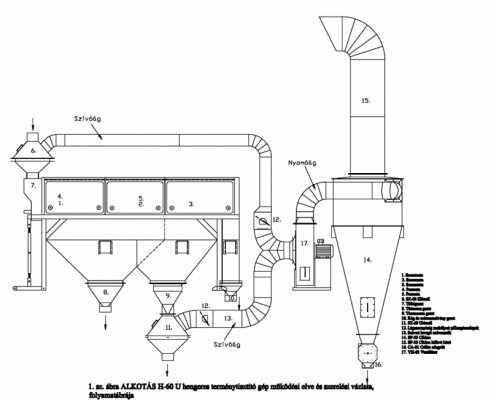 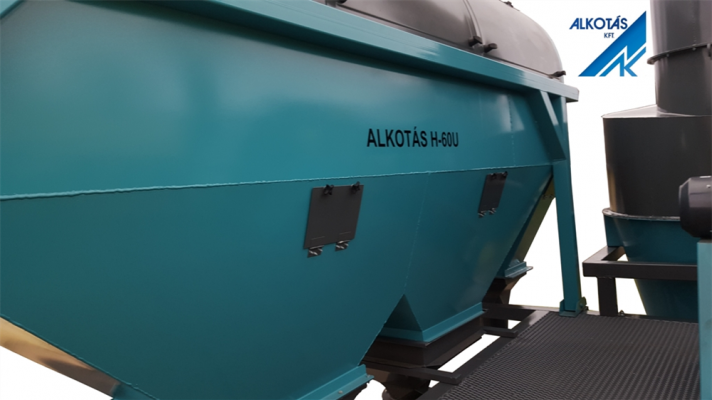 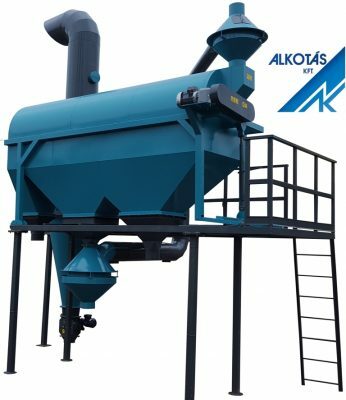 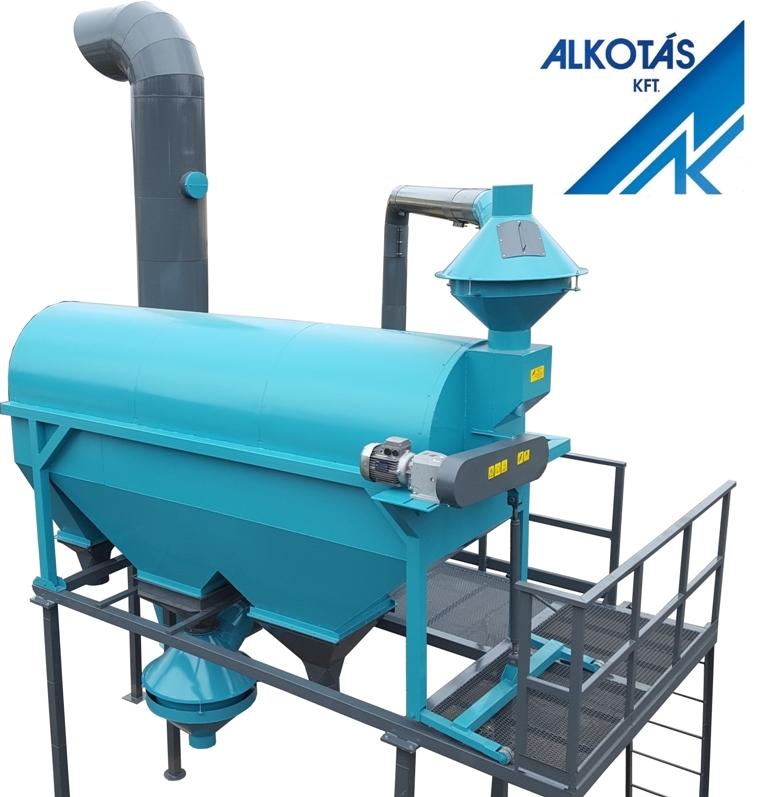 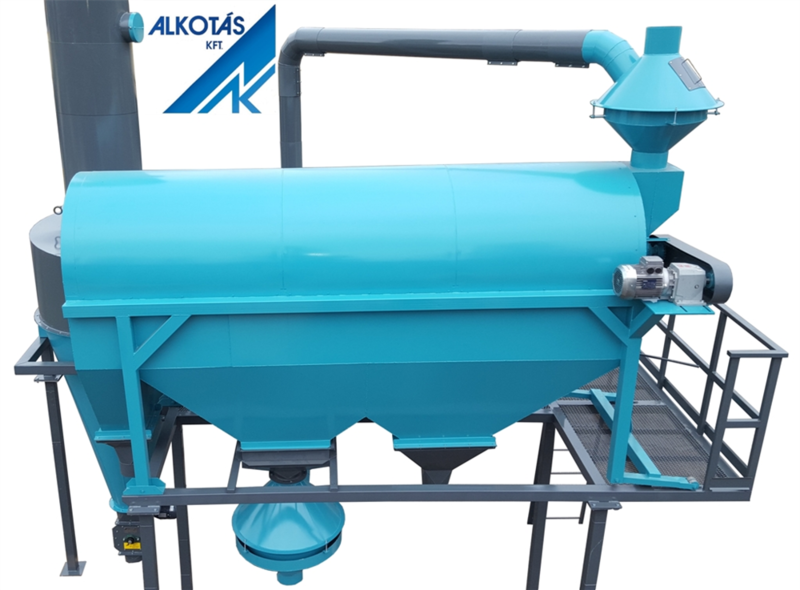 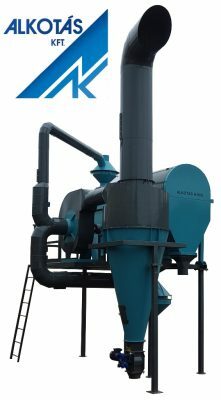 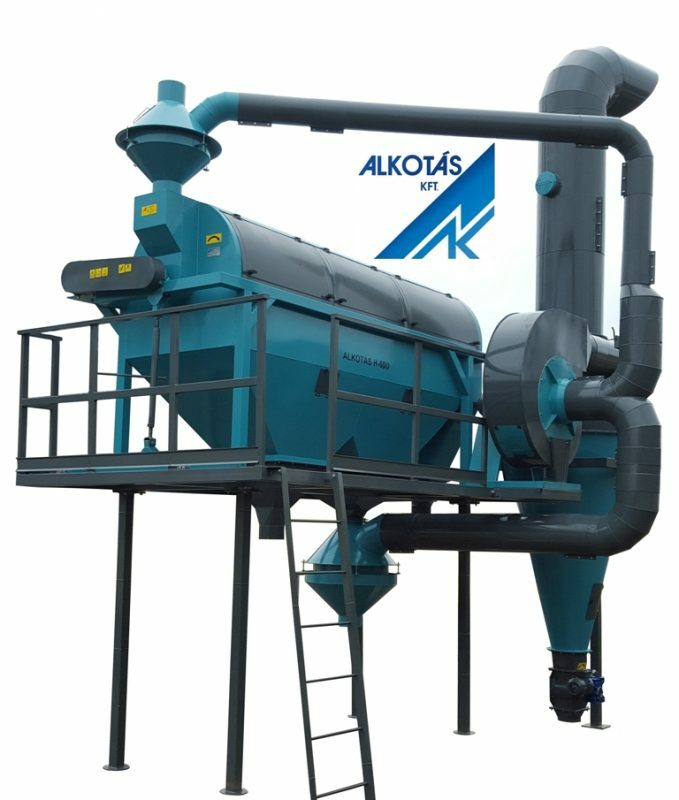 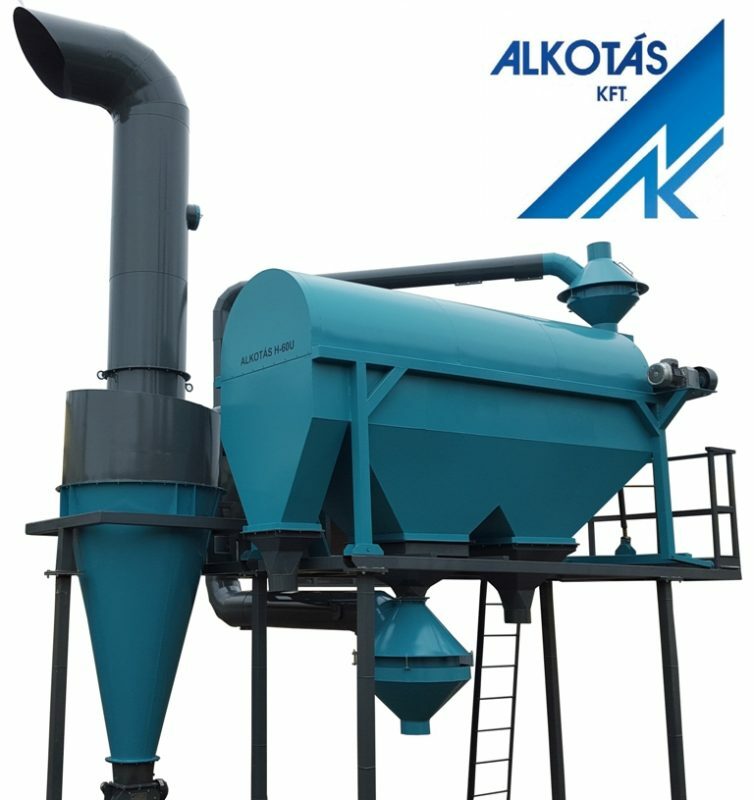 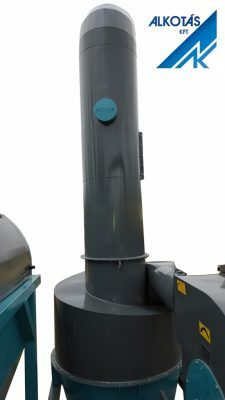 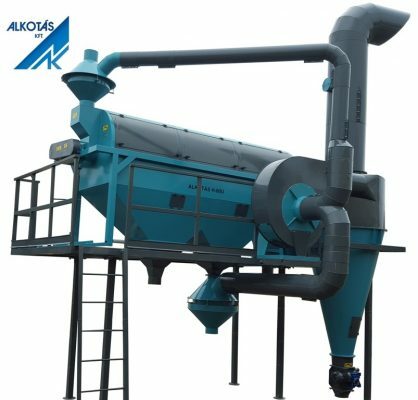 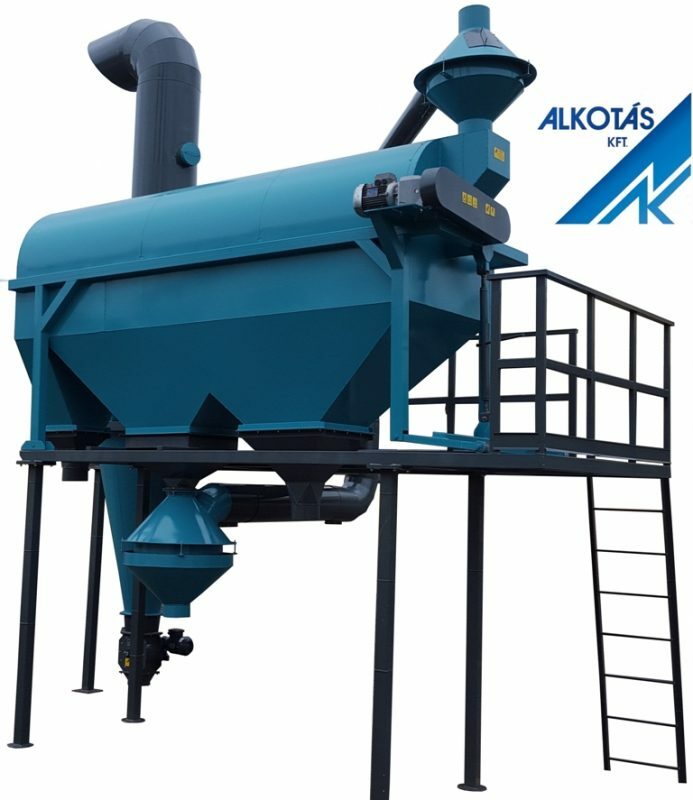 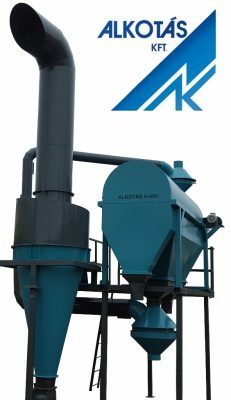 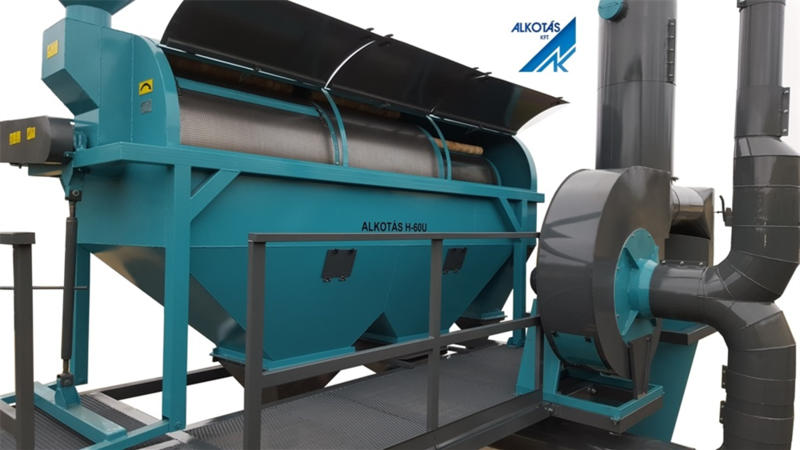 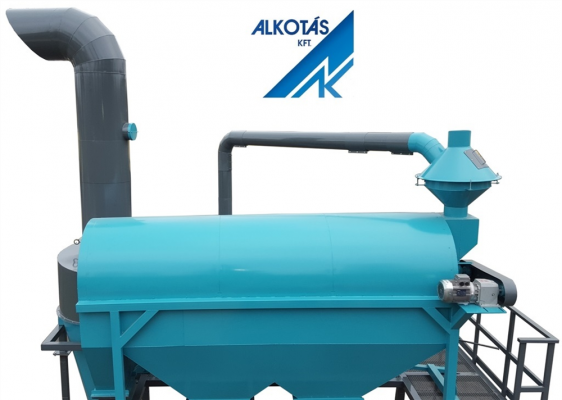 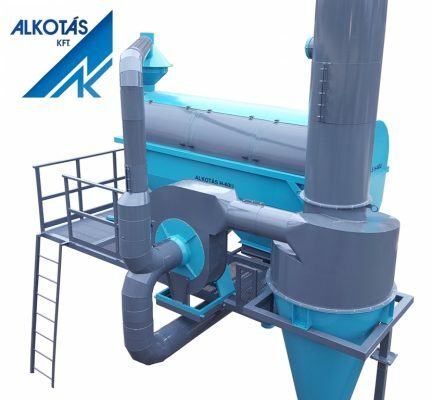 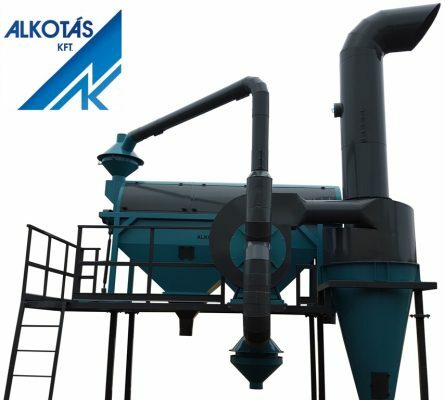 ALKOTÁS H-60 U cylindrical sieve grain cleaning machine – Alkotás Kft. 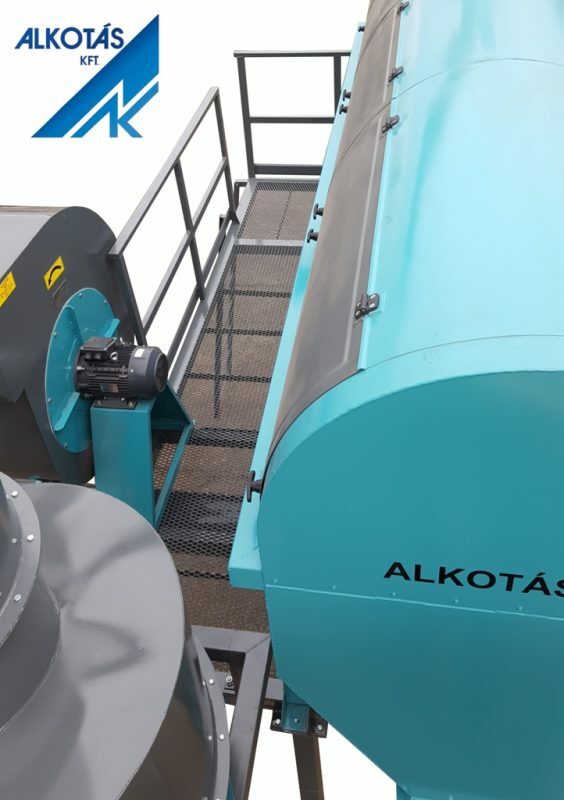 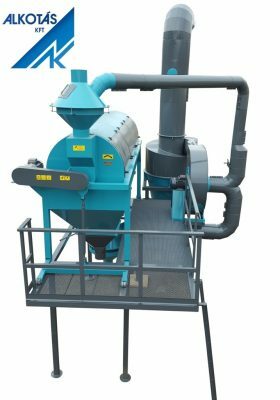 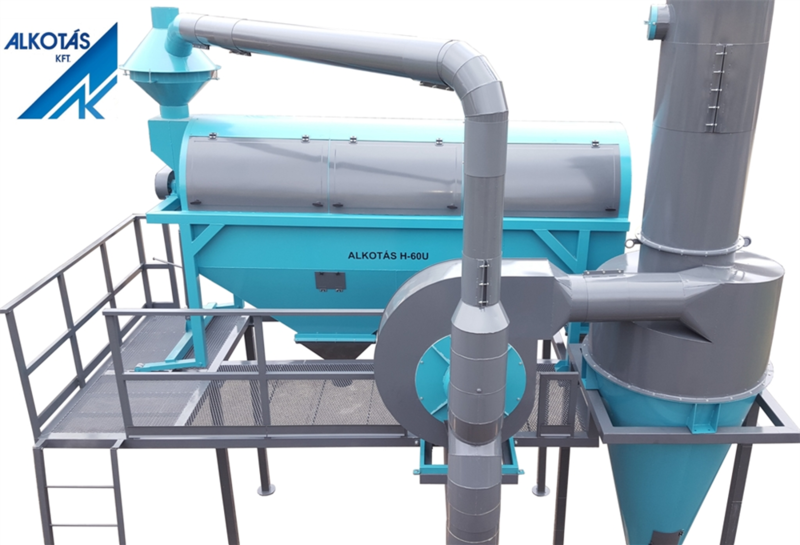 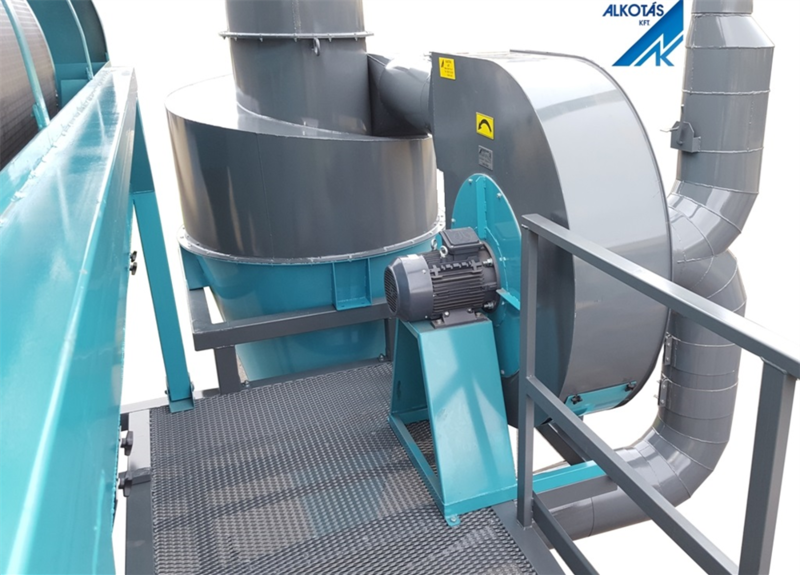 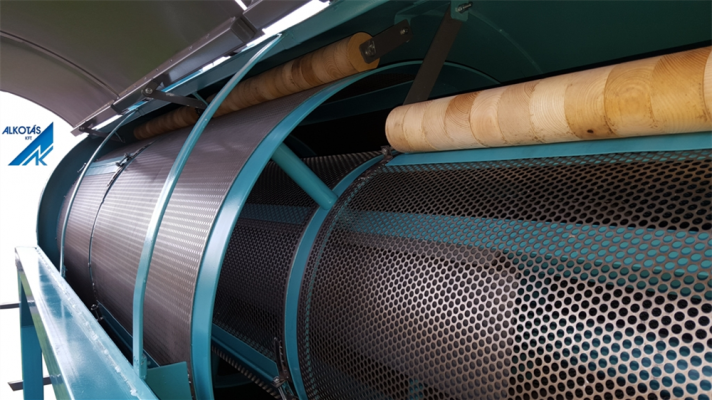 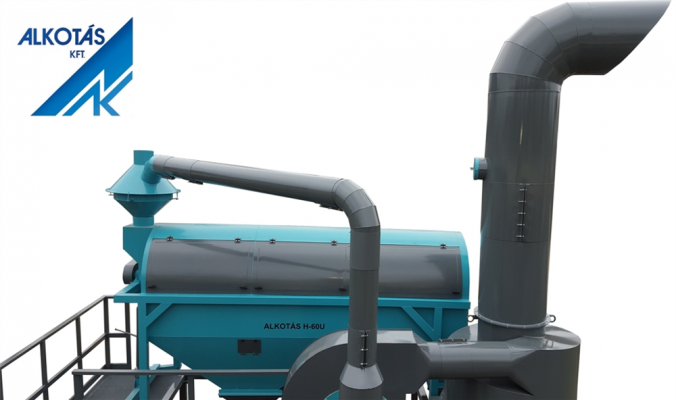 The corresponding ALKOTÁS H-60 U cylindrical sieve grain cleaning machine replacement tilt adjustment and air adjustment for all crops – and for final cleaning. 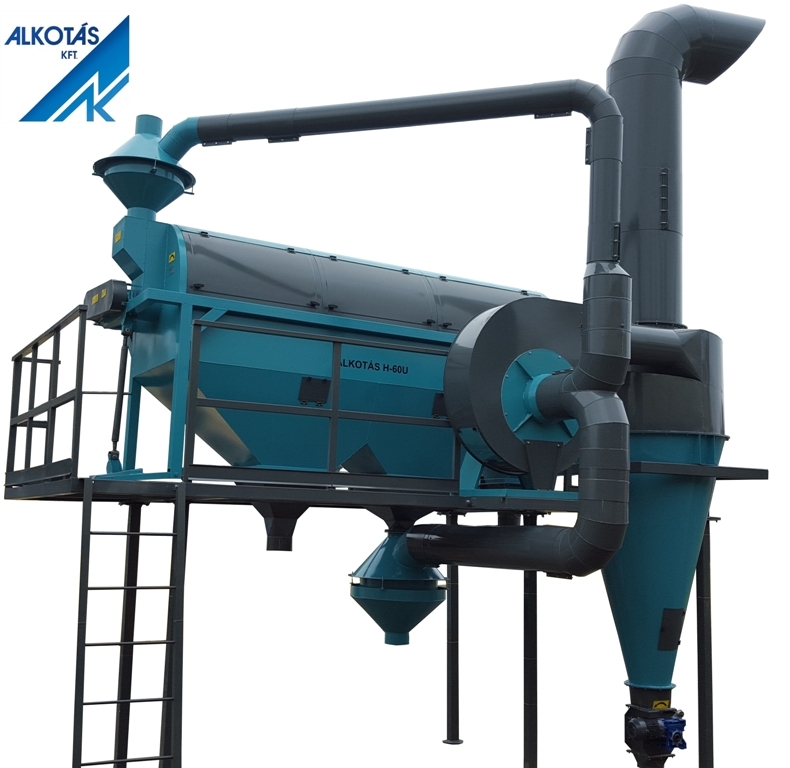 The sieve surface utilization is improved, by using the kernel opener plates. 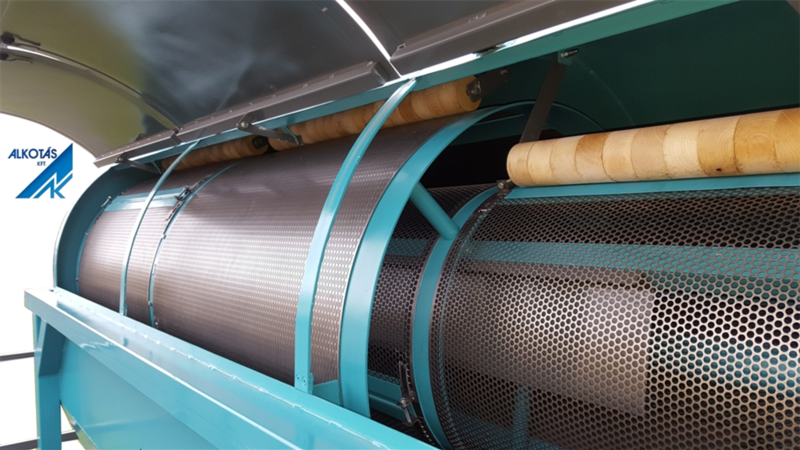 Bringing up the crop seeds on the sidewall of the cylindrical sieve increases the cleaning capacity of the machine. The machine is used for separating various crops, by crop specific weight, as well as for the removal of oversize and undersized material . 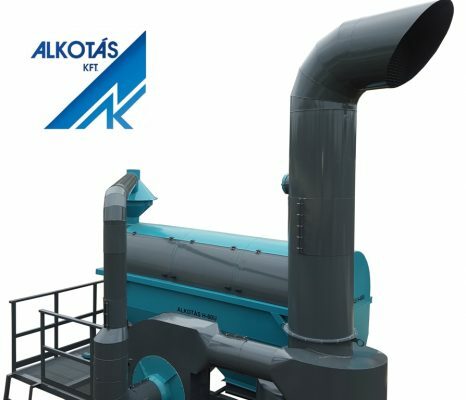 Eddigi látogatók: 136584 | Utolsó frissítés: 2019.01.09.